I Just Got Busted For Drug Possession. (214) 234-9077 What Happens Now? I Just Got Busted For Drug Possession. What Happens Now? Home » I Just Got Busted For Drug Possession. What Happens Now? Busted for Drug Possession: What Happens Next? 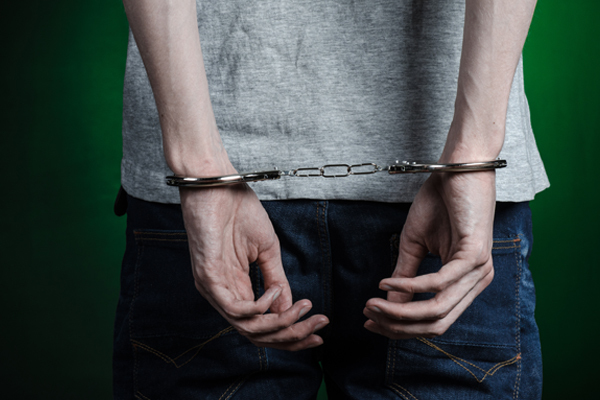 If you or someone you know was busted for drug possession, there are many possible offenses this could entail, as well as a myriad of penalties that may come of it. Some cases are tried at a federal level, though this is usually reserved for more serious charges, such as possession with the intent to distribute, or drug trafficking. Most minor drug bust charges are handled at a state level, and each jurisdiction has different guidelines and penalties established. Whether discussing a drug bust in Dallas or anywhere else in the country, there are many commonalities in how the courts will handle things. Drug Possession charges can be considered a misdemeanor or a felony. This will be largely based on the type of substance and the quantity discovered. Small amounts that law enforcement believes were intended for personal use will have lesser penalties than larger quantities, simply because greater amounts are more likely to be distributed. Additional time behind bars and fines may be added if the person arrested has a criminal history or if the offense took place in an area where children are present, such as a park, school, or place of worship. It’s also worth noting that an individual may receive several charges from a single event. Simple possession could become possession with the intent to distribute, and related charges, like driving under the influence and possession of drug paraphernalia may be added. Officers investigating may search for empty packages, bags, scales, and other instruments, to build a case towards a distribution charge. Additionally, police have some discretion as to what they may call a “weapon,” and depending on the circumstances may also apply weapons-related charges on top of the drug charges, too. Penalties for drug possession can span from 30 days to 15 years behind bars. Fines typically start at $500 and can exceed $250,000 in some cases. Of course, not everybody who gets busted for weed gets jail time, but, that does not mean that they don’t suffer considerable difficulties from their arrest. Other common outcomes are probation and obligatory drug testing, loss of employment, loss of child custody, removal from subsidized housing, property forfeiture, loss of student aid, loss of voting rights, and the loss of certain federal welfare benefits like food stamps. The government breaks up all illegal and controlled substances into different categories, referred to as “Schedules.” Those that have no medicinal value, that are dangerous, or are most likely to be abused are known as Schedule I drugs. Things like marijuana, meth, and heroin are considered Schedule I substances, while certain prescription medications rank lower on the list. People arrested for infractions involving Schedule I drugs can expect harsher consequences than those involving possession of Schedule III or IV. Equally, the law does not always treat all Schedule I drugs the same, as heroin is more deadly than marijuana, so those with harder drugs are likely to have greater penalties as well. The federal government still considers marijuana to be illegal in every state. However, officials have agreed not to prosecute people for it in states that have decriminalized it. Given that Texas has not made this move, a drug bust in Dallas for weed is treated very seriously, regardless of the quantity discovered. If you’re fighting a drug possession charge, it’s important to have a competent attorney on your side. A seasoned lawyer, such as those we highlight on this site, will look at all the events leading up to the arrest, as well as any evidence gathered. Depending on the circumstances, he may be able to have the charges reduced or dropped. To find out what strategy is best for your situation, review the profiles listed here and begin scheduling your free case evaluations today.